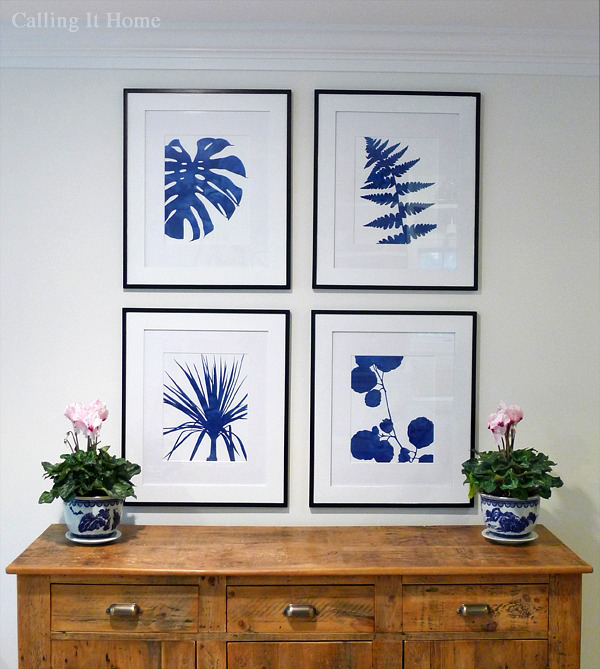 Do you remember the gorgeous blue botanical prints Linda at Calling it Home had commissioned for her One Room Challenge by Jennifer at The Pink Pagoda? I have not been able to stop thinking about them, they are so Palm Beach Chic! And so appropriate as Linda, the genius creator of the One Room Challenge, is moving to Florida next year. Jennifer wasn’t sure at first if she was going to make them available through her store, but fortunately for us they are now for sale! In blue AND green!! Jennifer said she realized after she shipped her prints to Linda that she must have subconsciously been thinking about this T. Keller Donovan room… Just gorgeous! The 11″x14″ prints are so beautiful, they look like hand-painted watercolors, and you simply cannot beat the price! You can purchase a set of four in green and white for $100. The blue and white prints are available in sets four for $100, three for $75, or two for $50. 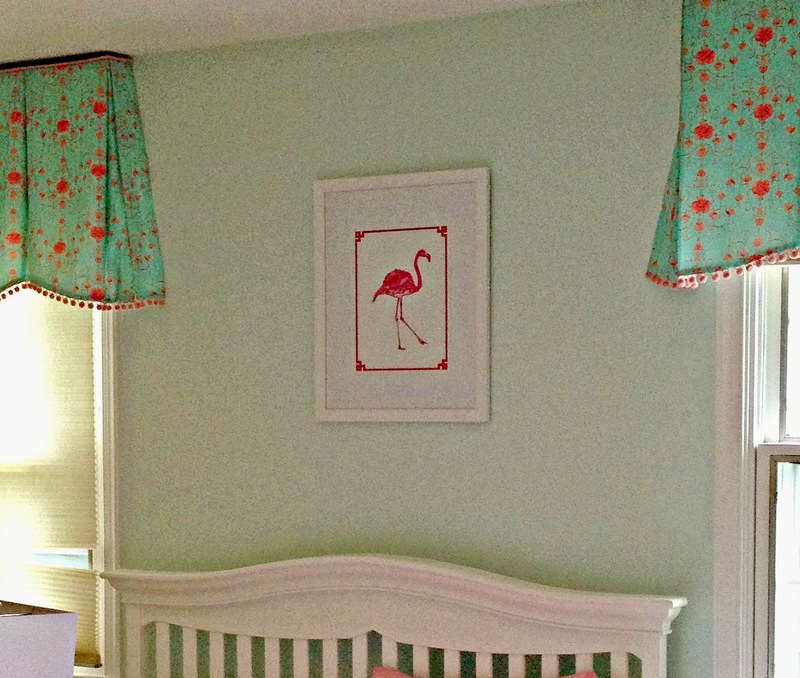 Fellow One Room Challenge Linking Participant, Stephanie Krauss, recently used one of The Pink Pagoda’s flamingo prints in an adorable pink flamingo themed room for a fashionable little girl. The Pink Pagoda’s giclees are so stylish and affordable… I think they would make a wonderful Christmas gift! And while you are shopping TPP, you will want to check out Jennifer’s home accessories, including an extensive collection of blue and white ginger jars, lamps, vases, and more. I’m hoping Santa’s sleigh is full of blue and white goodies when he comes to visit chez Glam Pad this year! Oh, thank you so much, Andrea! I'm thrilled to be featured at The Glam Pad!! They are stunning and would make such a beautiful gallery wall…love the blue and white!! I love Jennifer and her store. I could spend a pretty penny on all of her blue and white and I have so loved the prints I've gotten from her. Love Jennifer and prints, so chic and perfect for any space! Thanks for the link love, Andrea. Every time I look at the prints, they make me smile. Jennifer is so talented! The flamingo's might be my next purchase. Gosh I loved those in blue but I'm really drawn to the green. Thanks for sharing this Andrea!! Love this post! I'm doing all blue and white containers for the decor at my upcoming rehearsal dinner. 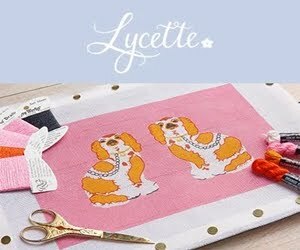 Hoping it will be super cute! Wish I was getting married in Palm Beach or Palm Springs, but Fredericksburg will do. Can't get enough of your blog! Simply gorgeous! After seeing this, I'm seriously considering creating a blue room! Love! I love the boldness of the prints by Jennifer — need to use in my next my design— and thanks for the shout out on my blog unbeknownst to be my client happened to have that print hanging her little girls room! Great design minds think alike, right!! Thanks Andrea!! xo Happy Thanksgiving! !